Geo-targeting is conveying different messages to the users based on their geographic locations. NeuroTags can show different landing screens based on the geo-location of the user for any of your product line. This is how NeuroTags makes geo-targeting possible in the offline market too. Imagine how good impression a brand leaves on its customers, when a customer who just bought a product from a store in a particular city, sees the information of a campaign running in the same city. And it happens only by scanning the scratchable tag on the product. Warranty and loyalty integration, provided by NeuroTags, help take marketing even a step further. Once a customer opts for warranty activation or loyalty points, the manufacturer gets to collect the contact information of the customer and connect with him/her with a caring thank you message and welcome email in real-time. End customers’ information is an ultimate marketing tool for any brand. A person, who has used a product of a given brand and is satisfied with it, is more likely to go for another product line of the same brand if contacted again. Loyalty points program adds up another layer of stickiness for the customer with the brand and helps convert a new customer to repeat customer. There are many ways to utilize and increase the customer’s interest in the brand, for example – brands can come up with an exclusive discount for their past customers on new launches, or they can run a contest for an event’s passes exclusively for the loyal customers. There are endless possibilities to convert customers into repeat customers by using the contact information and loyalty programs. How NeuroTags helps in Geo-targeting? NeuroTags provides mathematically linked, semi-open smart tags for the manufacturers to be applied on the products. Manufacturers can choose to show different landing pages, based on the geo-location of the user’s scan point. These tags consist of two parts, open tag, and scratchable hidden(protected) tag. 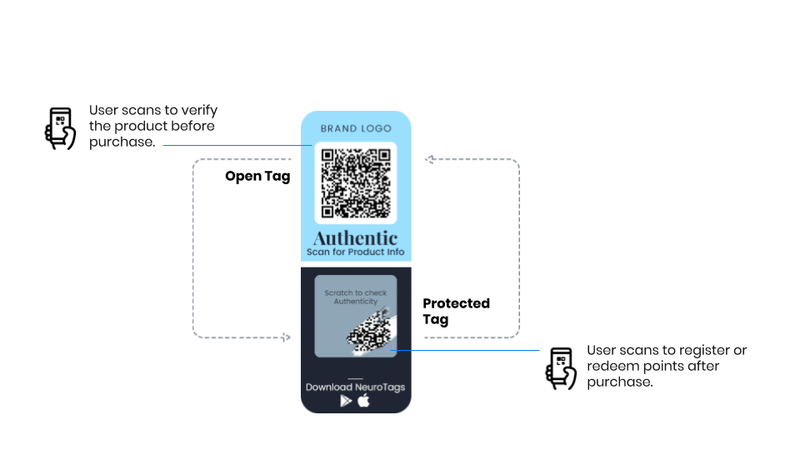 The open tag is more of a product information code, and anyone can scan it. The protected tag can be scratched only after the product has been purchased. Once the product owner scans the hidden code, the product is marked as sold. Manufacturers have full control over what information do they want to show on the scan of open tags or closed tags based on the geolocation of the user. There are many ways to encourage the buyers to scan the closed tag. Such as online warranty activation, giving loyalty points on the first scan of the code. If the manufacturers can convey to their customers that they can scan the tag to check the genuineness of the product, the customers would most likely scan the tag. After all, everyone loves real and avoids counterfeits. Registering for warranty offline is very painful, however, if the buyers can register for warranty just by scanning a tag, they would love to do so. Moreover, if they can watch a video explaining how to use the product, only by scanning the tag. That too can be very helpful. And everyone loves those loyalty points, as these points can bring them goodies or gifts or discounts! 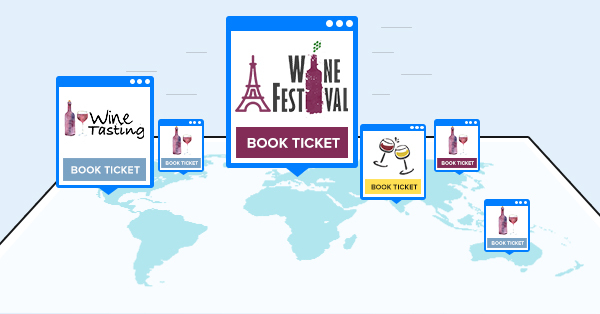 Geo-targeting is an effective way of marketing in the offline world.